As a retired Florida Fish and Wildlife Commission marine fisheries manager who represented the agency at Gulf of Mexico Fishery Management Council meetings, a July 15, 2014, Congressional Sportsman s Caucus press release published in The Fishing Wire entitled re e Congressional Sportsman Commission marine fisheries manager who represented the agency at Gulf of Mexico Fishery Management Council meetings, I’ve built up a lot of information about this issue, how it came about and why the Council is considering it. Frankly, I found the press release and its additional signatories the American Sportfishing Association, the Guy Harvey Ocean Foundation, the Center for Coastal Conservation, the International Game Fish Association, the Coastal Conservation Association, the National Marine Manufacturers Association, and the Congressional Sportsman’s Foundation misleading. I would like to take this opportunity to debunk a few of the statements made in the press release. Currently, there are two very distinct components to the recreational fishing sector, but the Caucus and its press release signatories do not want to recognize the differences. The recreational sector is comprised of anglers that hire federally permitted vessels to access the fishery and anglers that own private vessels and do not rely upon the for-hire fleet to go fishing. 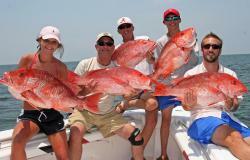 Under current management, these two distinct recreational angler groups share one red snapper quota. The Caucus issue is with the Councils proposed Reef Fish Amendment 40, which will separate these two distinct fishing groups into their own sectors within the recreational red snapper fishery. Short story: Amendment 40 proposes looking at the catch histories of these two distinct components and making them their own sectors on equal footing with each other based upon their historical catches. The Caucus states that Amendment 40 will divide the recreational quota e two distinct components and making them their own sfor-hire sectors. The Caucus is misleading this as the Council preferred alternative. In reality, the Council is considering establishing the private angler share as 54.1% and the for-hire share as 45.9% of the recreational quota. These allotments are based on average landings histories between 1996 through 2013. The Council has also requested new alternatives based upon different landings. All catch history alternatives exclude 2010 landings because of the broad closures resulting from the Deepwater Horizon Oil Spill. To see the full suite of allocation alternatives please see Council’s Sector Separation video. The Caucus lays the blame for the red snapper situation squarely at the feet of the Council, going so far as to say that the Council is not working “to develop real solutions to the challenges facing the recreational red snapper management.a In reality, the Council has been working on red snapper management alternatives for decades by implementing various management tools such as bag and size limits, seasons, and quotas. The concept of separating the recreational sector components first arose in late 2008 when federal fishery managers, of which I was one, were required by the 2007 Magnuson-Stevens Act reauthorization to get serious about ending overfishing in marine waters. Before the 2007 Magnuson-Stevens Acterfisauthorization, the red snapper fishery was severely overfished and substantial cuts were made to both commercial and recreational sector quotas to begin rebuilding the depleted stock. The commercial sector even adopted an individual fishing quota management tool to keep their fishermen on the water while protecting the red snapper resource. Since 2007, the commercial sector has not exceeded their quota once, while the recreational sector has gone over theirs every year, excepting 2010. The Caucus attempts to compare sector separation to the individual fishing quota program presently used in the commercial sector. In reality, there is no comparison between the two sectors. The commercial quota program allots individual fishermen a share of the fishery based upon landings history; whereas, sector separation would split the overall recreational quota between private anglers and the for-hire sectors based upon landings histories of the sectors, not individual anglers. Each new recreational sector would be responsible for their quota, which will allow managers the flexibility the Caucus and its signatories ask for and allow the new sectors to use their quota as their fishery dictates. The Caucus press release also suggests that sector separation will expand to other fisheries. But sector separation is only one type of management tool. In the case of Amendment 40, it is being discussed for the Gulf recreational red snapper fishery only. There are no plans to apply this tool to other fisheries at this time; however, it is available to use on as a species or a complex basis. Finally, the Caucus press release would make you believe that sector separation is a done deal. It points the reader to the next two full Council meetings in August and October as the ock. hallenges frn the tide.r The reality is that the Council will be conducting public hearings in all of the Gulf States during early August to gather public testimony on a draft document, including suggestions for management alternatives. The Council will also be taking written comments on Amendment 40. Dates, times and locations for those hearings can be found here. 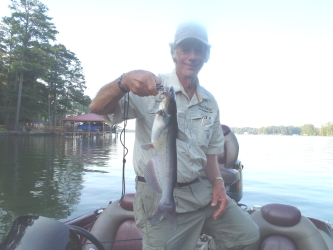 This entry was posted in Fishing Politics, Saltwater Fishing on August 5, 2014 by ronniegarrison.